What to expect at 5 weeks pregnant. Symptoms, advice and baby development five weeks into your pregnancy. 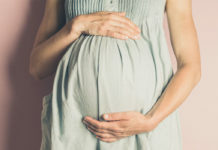 By 5 weeks pregnant, you’re now likely to produce a positive pregnancy result and experience a few of the early signs and symptoms of pregnancy. At this stage, your baby will have developed from a collection of cells into a more tadpole-like embryo. Read on to for everything you need to know about this new stage of your pregnancy. 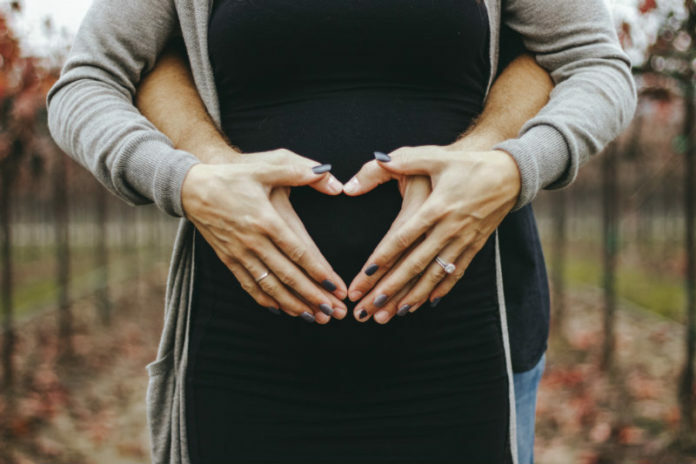 If you missed something, check back in on the symptoms and development at 4 weeks pregnant, or head over to our pregnancy week by week page for a step-by-step guide on all the key milestones in your pregnancy. As you move towards the second month of your pregnancy, your pregnancy symptoms may start to intensify. Here are the changes to your mood and your body you might experience. Although it might still be a little early for the real morning sickness to kick in, you may start to experience some nausea and vomiting as your head further into your first trimester. Don’t be fooled, just because it’s called morning sickness doesn’t mean you’ll only feel nauseous in the morning. This little rascal can strike at any point in the day. At five weeks a lot of your baby’s major developmental processes are taking place and your body is preparing to grow and protect another human for the next eight months. Your body is working overtime to provide the embryo with the vital nutrients needed for growth, while the placenta develops. This can leave you feeling tired and exhausted. You might find that you’re having to urinate much more frequently. This is actually due to the fact your kidneys are expanding with increased bloodflow. The rising hCG levels and changes to your hormones during the early stages of your pregnancy can spark some changes in your moods. While severe mood swings are more likely to kick in towards the end of your first trimester, you might find yourself crying at TV adverts or the news, as you experience heightened emotions. Aching or tender breasts are another symptom you might experience in the first few weeks of your pregnancy. Here’s when the fun part kicks. Some women start to experience pregnancy cravings at around 5 – 6 weeks. You’re odd cravings for pickled onions, or ginger and whatever else your body is demanding are usually to do with your changing hormones. For the most part, you can indulge in these cravings, but at this early stage of the pregnancy, it’s also important to make sure you and your baby are getting the right nutrients. The embryo is now about 2mm, which means your baby is about the size of an orange pip or an apple seed. At this stage, your baby’s heart is forming as a tube-like structure and the foetus already has some of its own blood vessels. A string of these blood vessels connecting you to your baby will go on to become the umbilical cord. The neural tube is also forming at this point. This will develop into your baby’s spinal cord and brain. 5 Weeks Pregnant Scan: Can you Have an Ultrasound? Unless your pregnancy has been deemed ‘high risk’ it’s unlikely you will need a scan or an ultrasound at five weeks. However, it is around this time that you might want to think about booking your 12-week scan. It might seem like a long wait, but before you know it you’ll be taking home your first sonograph and sharing the happy news with your friends and family. If you are experiencing symptoms which require a scan at five weeks, you won’t actually be able to see your baby in the ultrasound (at this stage, it’s still too small). Instead, you will see the gestational sac – a black area – and the yolk sac, which provides nutrients for the baby while the placenta is developing. Now read up on what you can expect at 6 weeks pregnant.